I have has submitted two bills this session to help our firefighters who are diagnosed with cancer resulting from their work. Firefighters put their lives on the line to keep us safe each and every day. They run into burning buildings to ensure that you and your family make it out alive, with no guarantee that they will. That is why I introduced legislation to make sure firefighters are cared for if they suffer from cancer as a result of their important work. I introduced one bill calling for short-term and long-term disability coverage and reintroduced another bill expanding workers’ compensation for firefighters diagnosed with cancer as a result of their work. Over the past several months I have had the privilege of working with legislators from across the aisle, local municipal leaders, CCM, and the firefighters unions to improve on last year’s legislation. I look forward to continuing this work and getting this done for the firefighters who keep us safe. The Center for Disease Control recently conducted a study of more than 30,000 firefighters and found that they had “twice as many malignant mesothelioma cases than expected.” The report suggests that, “firefighters are at a higher risk of cancers of the digestive, oral, respiratory, and urinary systems.” Many other studies have arrived at the same conclusion: If you are a firefighter, you are more likely to develop cancer. 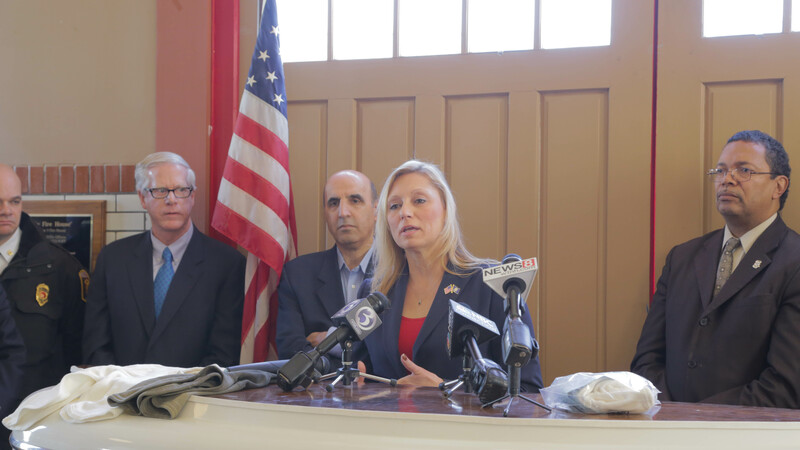 “The Uniformed Professional Firefighters Association is encouraged by the continued discussions between our Organization, CCM, and the Legislators involved, especially Rep. Michelle Cook. The collaborative effort put forth by all involved has given us hope that our members and their families will finally have the protections necessary through passage of this important legislation this session. Our members are suffering from occupational cancer diagnoses at an alarming rate and this legislation will allow them to concentrate on getting the treatment necessary and to return to work."